ItemB-06787 - Autographed photo of Nellie L. McClung. ItemB-06790 - Wes and Nellie McClung surrounded by family and friends on their 50th wedding anniversary. ItemB-06792 - Nellie McClung and her son, Horace; Horace was born in 1906. ItemB-06793 - Three former Manitoba suffragettes; Alice Holling, Nellie McClung, Elma Kennedy Brown. ItemF-07202 - Fifth Committee, Social Welfare, Housing and Health, League of Nations, Geneva; Nellie McClung seated under the clock, one table away from the wall. ItemE-08452 - The Metlakahtla Marching Band at Prince Rupert for the visit of Prime Minister Sir Wilfred Laurier. ItemB-06930 - Lord Tweedsmuir at Dawson Creek. ItemB-06932 - The SS Port Simpson. ItemB-06935 - The SS Islander is Kitselas Canyon. Item F-07202 - Fifth Committee, Social Welfare, Housing and Health, League of Nations, Geneva; Nellie McClung seated under the clock, one table away from the wall. 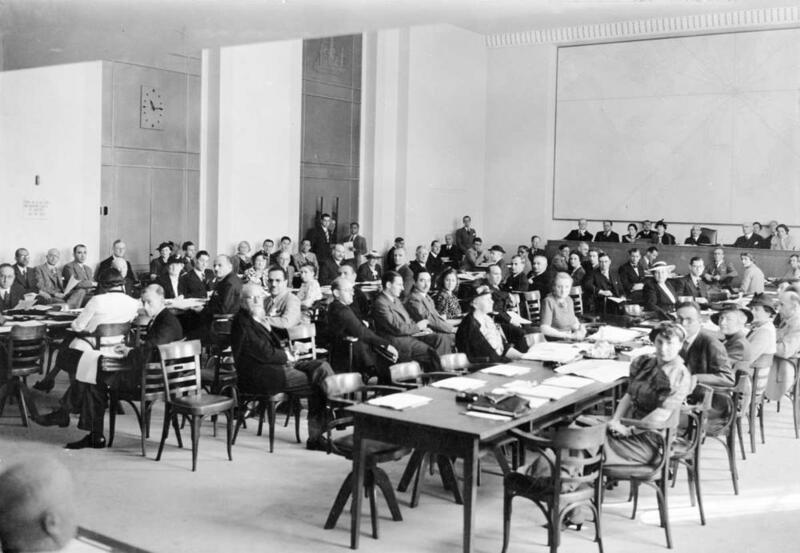 Fifth Committee, Social Welfare, Housing and Health, League of Nations, Geneva; Nellie McClung seated under the clock, one table away from the wall.